Tuning up your soil demands careful analysis that fits your plant plan and your soil test. We believe that the key to yield and overall soil health depends on exacting prescriptions of amendments and fertilizer. We work with independent soil labs that create honest and thorough soil profiles. We carefully review the results with our certified organic agronomists and then recommend what elements need to be replinished in the soil. 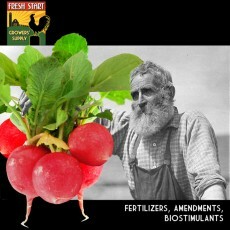 Then we recommend the best amendments and fertilizers for the job. We are confident that you will see the results of this thoughtful approach and quality product line. Cottonseed Meal is a great nitrogen source. This all natural fertilizer's low pH level makes it an excellent, slow-release source of nitrogen for acid-loving plants, 6-2-1. ..
Berry Mix 4-2-4 is an organic fertilizer for different berry plants including raspberries, strawberries, and blackberries. 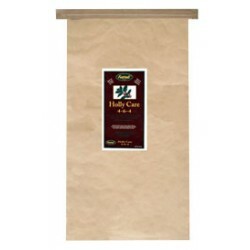 This blended organic plant food helps berries grow bigger and juicier and it generates more flavorful berry. Berry Mix works in most soil types and is best when applied working .. 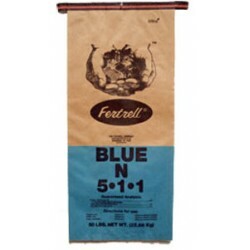 Brand: Fertrell Model: Fertrell Blue N 5-1-1, 50 lb. 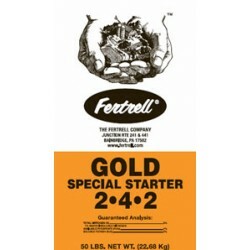 This advanced formula provides time-released nitrogen in a multi-nutrient organic fertilizer. Blue N is specially formulated for crops that require more nitrogen when manures and legume rotations are used minimally. When broadcast and plowed under or worked into the soil, Blue N maximizes growth and..